I firstly must apologise for the lack of updates here. We have been terribly active and most posts have been on Twitter (@ComfariqueIntel ) and on Facebook ( www.facebook.com/ciinitiative) as well as on our web page ( www.cii.gm) and thus would request readers and followers to please check the above for updates and pictures. I promise to update this blog as well as often as possible. Im sitting in Ziguinchor on my way back from Bissau on a Cashew trip. While I pursue my business, a dedicated team from the Initiative is implementing our 90th village (90 out of 140 villahes) being implemented for the London School of Economics project " Effective Intervention" in Guinea Bissaus Quinara & Tombali regions. We have completed 26 villages in The Gambia too and have two more villages to implement. One for the Rotary Club of Quilon, Kerala and in a unique programme, to ensure that two villages supported by the Annecy Sisters in Basse, The Gambia, will be brought under the Initiative, thanks to a sponsorship by MSC Shipping Company. Ms. Mette Oerslund has very benevolently agreed to this sponsorship. The Sisters of Annecy, MSC and we are excited as this is the farthest and remotest region of The Gambia. While Rakib and Famara have done far more remote regions in Guinea Bissau, this will be a challenge in The Gambia. Will continue to write here and will provide links between the various social networking sites for this Initiative heavily weighed with Corporate and Social Responsibility character. For many years, everyone who brought new lighting products to rural areas, designed them on the traditional "lantern". CFL and LED, solar lights - in the form of a Lantern and this always struck me as strange. Why would you want to move forward looking backward? The InteliZON range of products have always looked forward. From the ZonLight TASK Light range to the ZonHome range of home lights followed by Zon Street - the products have always been modern. InteliZons motto "Creating a world of smarter energy" comes clear. Simple yet innovative and forward looking products. And now after extensive research, comes the ZONbulb. The Worlds first and most innovative Grid/Solar chargeable Li-ion battery backed up bulb that fits into your existing urban light socket OR can be used in rural areas as a solar light - waiting for the future to catch up with them. And definitely NOT reminding them of the darkness and rudimentary lantern, but showing them the way - the future of all lighting. Environmentally friendly and yet modern. Capable of being used anywhere. The image of a Touareg or a Masai villager leaving his Lantern behind and holding a ZONbulb is too vivid an image of development to ignore. Let India & Africa take the rest of the world to InteliZONs world of smarter energy. The Villages of Albreda and Juffereh were implemented under the Initiative on 27th December, 2011. Under the Sponsorship of the U S Embassy Banjul (a sum of GMD 117,600 from the US Ambassadors Self Help Fund) as well as a part Sponsorship by INTELIZON themselves, the ComAfrique-InteliZon Initiative team carried out the Implementation providing a total of 187 Solar ZonLights ( 117 Sponsored by the US Embassy and 70 Sponsored by InteliZon). While the inspiration to bring the Initiative to Juffereh and Albreda was due to efforts initially from Tashawna Bethea and the former Ambassador Barry Wells, full credit to current Ambassador White, Deputy Cynthia Gregg and Mr Zacchary Bailey, Political Attache of the US Embassy Banjul who accompanied Mr Janko Fofana and even spent the night at Juffereh during the Implementation. Mr Famara Dampha of ComAfrique conducted the handing over ceremony of the ZonLights to the Village ZonLight Committees of the two villages. Mrs Bailey accompanied the team to witness basic sustainable lights coming to the home of Roots & Kunta Kinteh. This brings the Total number of villages sponsored to 11 since we commenced in end 2009. A total of 900 Lights affecting the lives of 4,500 rural folk in a sustainable manner is the achievement of the Initiative to date as this Initiative now goes Africa wide. Under the US Ambassadors Self Help Scheme, the villagers of Juffereh & Albreda will be beneficiaries of the ComAfrique-Intelizon Initiative. The implementation will be undertaken shortly. I've just got back from a hectic trip to West Africa - Guinea Bissau and the Gambia. A major highlight was a visit to Taibatou Village in the Western South Bank of the Gambia. very soft voice. Many of the others also spoke Arabic. My company had sponsored Solar lighting for the village and I wanted to actually visit them and see the Project. The sponsored lights belong to the Village Committee and are given out to families on a contributory basis - the house-holds each pay 1-3 Dalasis (4-12 USC) per day to the Committee, which becomes a fund to replace the batteries in 2 years and augment the lights, so that it is sustainable. This expenditure is less than half the cost of candles - 5 Dalasis per room per night. Two or three lights are common property and light up the street in front of the Chief's house where the villagers have their meetings. 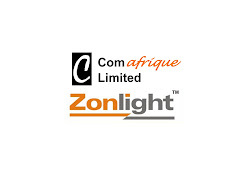 This project is implemented by ComAfrique Ltd., owned by Mr. Ram Mohan, the Hon. Counsel of India in the Gambia, who had started off in business more than a decade ago, supplying cashews to us. ex-pats. The cost of sponsoring lights for a village is $2,500 to $4,000, depending on the size of the village. If any of you is interested, please visit http://comafrique-intelizon.blogspot.com/, or let me know. I'll also be putting up some photos on Face-book over the next two days. two teens (boy and girl) who maintain the collection accounts brought out their register and proudly showed me their collection - no delinquencies. The chieftain made a small speech of thanks with tears in his and everybody else's eyes. It's a special feeling. In an unfortunate but understandable set back, the Village of Sitanunku have backed out and have opted for their mentor Mr Marcel Hendricks to directly fund a Solar Water Pump rather than sponsor Lights and work on the Loan based on the ComAfrique ZonLight Initiative. While the majority apparently were united in exhibiting their self sustanability and independence on water and light, a few villagers on the committee commented that since the EcoHotel project of Mr Marcel Hendricks would anyway be responsible for providing Light and water to the region, they opted out and preffered to take cash from him rather than implement their own water and light with the ComAfrique Initiative. However, Trust Bank that had so magnanimously agreed to give the villagers a loan for their Solar Water Project bsed on our Initiative, they have since suggested that they would like to sponsor a village with ZonLights and we await further communication with them.